Comfort now comes attached with tech-savvy features. 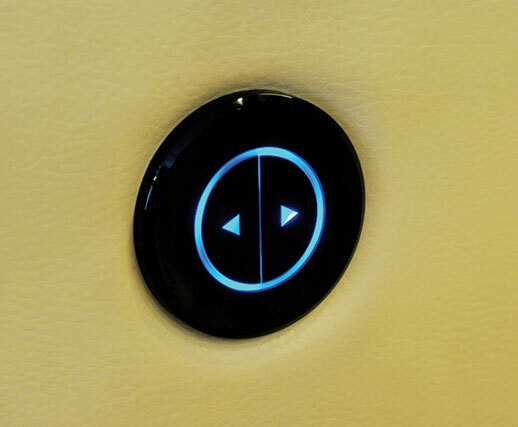 This one-touch recliner operating button adds to the beauty of control at your command. The back-lit light blue colour dial in a smooth glossy finish will come to your rescue whenever you are thinking of spreading yourself wide.